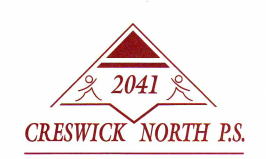 Creswick North Primary School is situated on the northern fringe of Creswick. The school playing grounds and surrounds provide students with a physically attractive environment. The local community values the attributes of a small country school and the strong relationships that the children develop between themselves and staff. Parental participation in school activities and programs is encouraged and highly valued. The school also aims to promote in children acceptance of responsibility and positive attitudes towards themselves, others, their learning, the school and the local community. The school provides a comprehension curriculum, with specialist areas in Art, Library, Music, Physical Education, Chinese/Mandarin and Mountain Biking. Performing Arts and Sporting activities are enhanced through participation in the Cluster. Community activities are an integral part of the curriculum through festivals, community projects and environmental activities. Many extra curricula activities support classroom programs such as golf and camping. Creswick North Primary School participates in the Wendouree Cluster. The school actively participates in the initiatives, advantages and opportunities that membership and involvement with the cluster brings. * Offering opportunities for the learner to experience success in a variety of ways. * Providing a broad and challenging curriculum. * Developing an ethos of inquiry, persistence and a strong work ethic. * Providing opportunities for students to develop a sense of responsibility and independence. * Utilizing a rich, varied and up to date range of learning resources. * Fostering learning partnerships between the school, home and community. * Offering opportunities for active learners to experience success in a variety of ways. * is supported by the use of Information and Communication Technology across the curriculum. * Developing an ethos of inquiry, persistence and risk taking in order to achieve personal best. * Providing rich, varied and up-to-date resources. * Offering an enriching program of extra-curricular activities. * Fostering effective learning partnerships within the school, with parents and with the wider community. * A place with strong relationships and interaction between school and the wider community. educational opportunities of the children. Waubra, Clunes, Creswick and St. Augustine's. days also foster social links that carry through to secondary school.